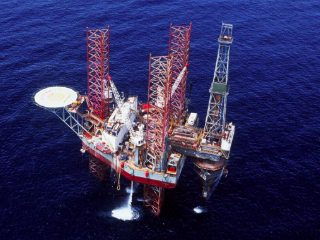 The petroleum resource rent tax should be expanded by introducing a 10 per cent royalty on offshore gas to capture more revenue from Australia’s booming oil and gas industry, says left­wing think tank the McKell Institute. Australian Taxation Office statistics released yesterday show the PRRT brought in $946 million last year and is set to top $1 billion this financial year, as Australia’s oil and gas sector moves towards eclipsing Qatar’s as the world’s biggest. The ATO and tax experts also say compliance with the tax is very good as it was paid by only 14 entities last year, making industry surveillance far easier than for corporate or personal tax. But in a report to be released today, entitled Taking on Tax Avoidance, the McKell Institute said a 10 per cent royalty on offshore gas projects could bring in $2.8bn in revenue a year — in stark contrast to Senate testimony by multinational groups Chevron and Exxon that they did not expect to pay any PRRT on the mammoth Gorgon and Wheatstone projects until the mid­2030s. The think tank said it was possible Chevron and Exxon might never pay PRRT on the mega­projects. Claims a royalty represented a sovereign risk and was retrospective were “overblown and being used as a scare tactic to minimise changes to the current PRRT system, which sees Australia collect considerably less revenue as a percentage of oil and gas production than other major producers”, it said.